Yesterday, it was reported that Marvel Studios was producing Loki and Scarlet Witch shows for Disney’s upcoming streaming service and fans have taken to social media to share their reactions. The new shows will reportedly have between six and eight episodes with Tom Hiddleston and Elizabeth Olsen reprising their respective roles. Of course, both characters met their demise in Avengers: Infinity War and many fans have taken to Twitter to humorously point out the news provide more evidence that most if not all of the deaths in the Marvel film will be undone. 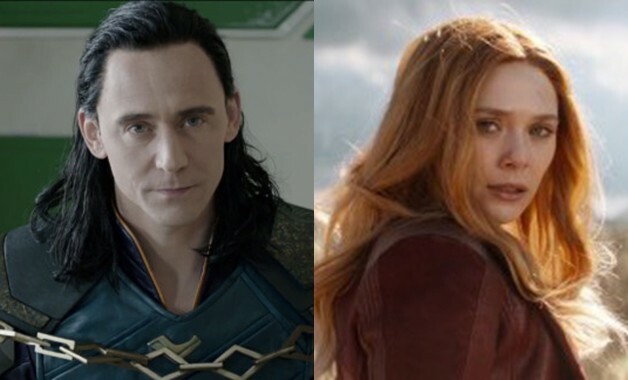 Nevertheless, fans of both characters have expressed their excitement over the chance to explore Loki and Scarlet Witch further while others believe that Marvel could have given shows to different heroes. You can check out some of the reactions below! so i went on twitter like 1 minute ago and what did i see ? Marvel: "Everyone that died in infinity war is dead. They're not coming back." Also Marvel: "we're making a TV show about Loki and Scarlet Witch!!" I can’t wait to see the Loki and Scarlet Witch television shows! The Loki and Scarlet Witch shows will be produced by Marvel Studios with Kevin Feige expected to have a high level of involvement. The Disney streaming service is expected to launch next fall. Directed by Joe and Anthony Russo, Avengers 4 is expected to star Robert Downey Jr., Chris Hemsworth, Mark Ruffalo, Chris Evans, Scarlett Johansson, Benedict Cumberbatch, Don Cheadle, Tom Holland, Chadwick Boseman, Paul Bettany, Elizabeth Olsen, Anthony Mackie, Sebastian Stan, Danai Gurira, Letitia Wright, Dave Bautista, Zoe Saldana, Paul Rudd, Jeremy Renner, Josh Brolin and Chris Pratt.